Small shrub that grows in the Andes Mountains of Peru. The roots of Rathany have traditionally been used by the natives of Peru to care for their teeth and gums. It is an astringent and hemostatic with anti-microbial activity. Tree that grows in the Andean mountains of Peru. 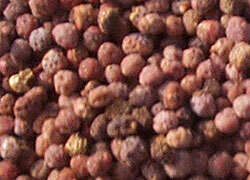 The seeds are also known as “pink pepper” or “false pepper” and they are used as a condiment, alone or mixed with real pepper. Molle seeds contain essential oils that are used in perfumery. Woody vine that grows in the Peruvian rain forest and that has been traditionally used by the natives for many medicinal applications. 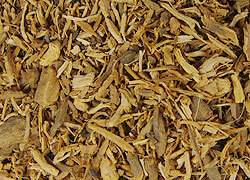 Used as an herbal supplement especially as an anti-inflammatory and as a stimulant of the immune system. Herbaceous plant that is grown in the central highland areas of Peru. 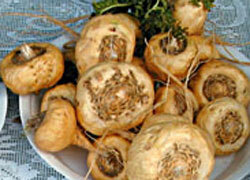 Peruvian natives have used Maca as a food for many centuries. 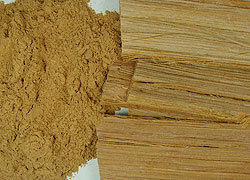 The ground roots presented as Maca Flour are used as a supplement as well as an energy booster.